For Australians, spring is associated with bright mornings, longer days, and a slow re-acquaintance with the sweltering heat of summer. Of all the seasons here, spring is in a way, THE penultimate pronouncement of them all; reminding us that Christmas is not all that far away, that the summer holidays are drawing near and that another year is coming to a close. I’ve never been a big spring fan, but my perspective is changing. 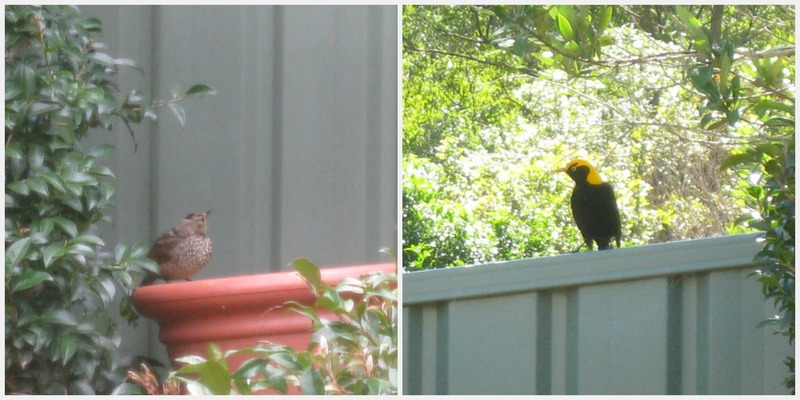 The female satin Bowerbirds have been hanging around for a few weeks, and yesterday for the first time the (male) Regent Bowerbird made an entrance. It’s these kinds of encounters throughout spring that whilst not proving the existence of God empirically, are like metaphors that function as breathtaking reminders of His active creativity. ‘We have seen a hedge all thick with dry leaves throughout winter, and neither frost nor wind has removed the withered foliage, but the spring has soon made a clearance. The new life dislodges the old, pushing it away as unsuitable to it. So our old corruptions are best removed by the growth of new graces. It is as the new life buds and opens that the old worn out things or our former state are compelled to quit their hold of us. The Earth, everything in and on it is far from being the residue of a cosmic incident whereby a Deistic creator steps aside, and becomes an indifferent, absent-minded spectator. Through the seasons, God invites our applause. Through spring, God welcomes new life. Through Christ, God breathes it into us. Yes. His own experiences within the Church make his words even more relevant. Thanks for the link mate.